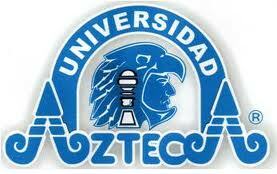 The universities synergise the international faculties, joint branch campus facilities abroad, and the online education resources of both universities, whereby Universidad Azteca is mainly responsible for provision of taught elements and courses of a study programme, with UCN being mainly responsible for the research and thesis periods of study. Besides national recognition as university and listing in the IAU database of recognised universities, both institutions are also internationally accredited as “Premier University” by Accreditation Service for International Schools, Colleges and Universities ASIC, a UK government recognised Accreditation Body (ENQA and CHEA listed). Our international programmes are designed for students anywhere in the world and can be passed online without any on-campus residencies. The asynchronous method of online instruction allows enrolment throughout the year and enables students to determine their own pace of studies. Courses and examinations can be taken anywhere and anytime. Final oral examinations or defence of thesis are conducted via online video conference between candidate and examination jury members. Admission requirements for postgraduate programmes are a graduate degree, whereby, admission to a Master´s programme require the equivalent of a Bachelor´s degree (minimum 180 ECTS credits) or a comparable qualification (e.g. EQF level 6); admission to a Doctor´s degree programme require the equivalent of a graduate or postgraduate degree (minimum 240 ECTS credits) or a comparable qualification (e.g. EQF level 7). The university will conduct an admission evaluation for every individual student. The university reserves the right to admit students based on qualification only. Admission to an advanced research doctorate by thesis only require a postgraduate degree (minimum 300 ECTS credits) or a comparable qualification (e.g. EQF level 7 or 8), allowing for the transfer of 60 ECTS credits earned in the postgraduate qualification programme to the period of instruction for the research doctoral programme, to be completed by the research phase and the dissertation only. The programmes offered and degrees awarded by Universidad Central de Nicaragua UCN are fully recognised and valid in Nicaragua according to the applicable higher education laws of Nicaragua. Programmes offered and degrees awarded by Universidad Azteca internationally are university own programmes and degrees in accordance to Article 59 of the General Law of Education in Mexico. The Deanship of European Programmes collaborates with the International Journal of Advanced Multidisciplinary Research and Review﻿ - Students and graduates may approach IJAMRR for publication of their research articles or dissertations. Universidad Azteca offers inter-university doctoral programmes jointly with Universidad Central de Nicaragua UCN, those programmes are validated by UCN resulting in the award of a university own degree by Universidad Azteca and the official UCN doctor degree. Universidad Azteca may award the intermediate university own degree at Masters level or the equivalent degree at Doctors level. This applies to MBA and DBA, as well as programmes in Education, Psychology, Health Sciences and Environmental Sciences. Legal Notice: All doctoral programmes offered by Universidad Azteca internationally are grado propio degree programmes (Art. 59) of the the University. If they are conducted jointly with and validated by UCN and the officially recognised degree is awarded by fully autonomous and recognised UCN according to Nicaraguan laws. Prospective student asks for application form for a given programme of study. Combined Master and Doctor programmes are offered to students completing both programmes jointly, whereby, the Master degree is the intermediary degree and the doctorate the terminal degree awarded. As taught programmes, they are available online in Business Administration (MBA + DBA), as research programmes, they are available in all the study areas listed above. Tuitions depend on the programme and the mode of provision. While most of the above mentioned programmes are available online, some may require the involvement of a given branch campus of the university abroad including blended learning sessions and particular programme features, thus, influencing the tuitions of the programme. Tuitions and fees (non-refundable) for the inter-university online programmes provided in English are invoiced in EURO and are due with enrolment. Diploma Supplement (transcript) in Spanish and English – not apostilled (if a graduate requires an apostille, a fee is charged). Registered shipment to the student.